Ready mixed buff adhesive paste for securing ceramic wall tiles and mosaics to most interior wall surfaces. 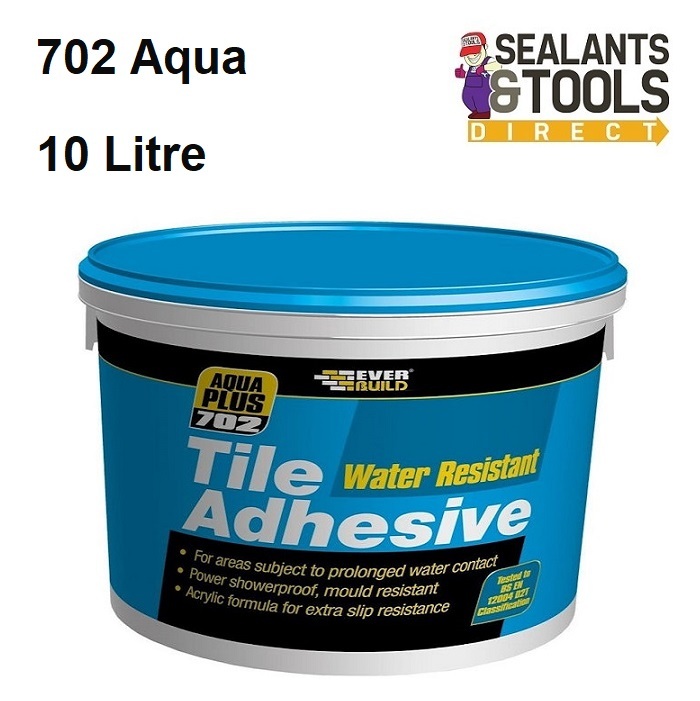 Ideal for use in interior wet areas. Blend of limestone fillers, clays and styrene acrylate polymers with minor additives. Extremely high bond strength - over double the B.S. minimum requirement in wet shear (7 days drying, 7 days water immersion followed by shearing whilst wet). Ready mixed formula - no mixing, no mess. Apply straight from the tub. Easier to apply than most competitive adhesives. Excellent non slip characteristics - no movement on a 300 x 200 standard large format wall tile. EVERBUILD 704 POWDERED WALL TILE GROUT. Work tops subject to water contact.